 Property Investments UK is dedicated to helping clients from around the world invest effectively in the UK property market. From high yielding property deals to property investment courses and one-to-one mentorship we can help you build and manage your portfolio and save you time and money on every property you buy. After a decade of investing in property, Rob Jones started the company in 2011 with the aim of creating an honest and open platform where, through education and community, he could use his experience to help others achieve financial independence, freedom and legacy. If you have a property that you need to sell quickly and there isn’t the time to go through the more traditional estate agent route then we can help. 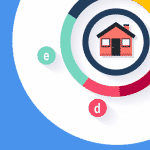 Property Investments UK has partnered with a company that is able to offer either a 28 or a 7 day sale with a cash advance for properties in any condition. 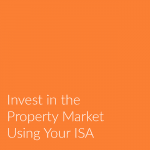 As well as providing training and investment opportunities Property Investments UK is a free resource for anyone interested in the UK’s property industry.  Accessible to everyone and for investors of all levels we have produced hundreds of free articles, videos, training materials, expert interviews, checklists and downloads that you can find on this site. We do a roundup of the latest articles each week which we send out to our subscribers. So, If you would like actionable property investments opportunities, property advice and tips direct to your inbox, fill in the form below. * By submitting your name and email you are agreeing to be sent a weekly email by Property Investments UK containing free property tips and advice. We may also occasionally send you promotions for our products and information about our partners. You can unsubscribe at anytime from within the emails we send. Rob is the ultimate guy you need! He knows exactly what he talks about. The cream on the cake being he is very fast to reply if you have any queries. I definitely feel my every penny is worth it. I am doing Rob's VIP Property Training Course online and it is incredible. The online course provided Property Investments UK was very easy to follow, a easy step by step guide to how to take your business to the next level. The set out of the course was second to none and it will be always useful as a reference guide for future stratagies. I am new the property game, when I came upon Rob he made an immediate impression on me. His knowledge on property and investments is explained in easy to understand terms and crystalises things in my mind about things I wasn't sure about. I'm confident I am on the right path to financial security with his expert guidence. 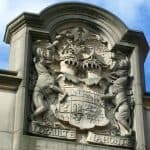 Nottingham is a centre for high-tech industry and a bellwether for the UK economy, yet is also one of the cheapest cities in the UK. In terms of yield, Nottingham is also one of the most attractive areas of the UK for buy-to-let investment. Snagging is a careful, detailed check of your newly built house or apartment to identify defects in the construction. Today, we look at the advantages there are in using a snagging company if you are considering buying a new-build house and the problems you could face if you don’t. 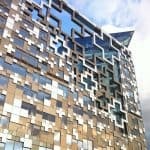 Are you thinking of investing in buy-to-let in Birmingham? It’s a city with great yields and opportunities for growth and a huge economic hub. Today, we crunch the numbers to tell you everything you need to know about the various city districts. 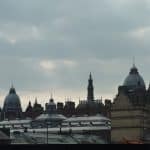 Are you thinking of investing in property in Leeds? It is a fantastic place to put your money. Today we crunch the numbers to tell you everything you need to know about the various city districts. A repossession order can be terrifying but they are a lot less frightening if you know the facts and have a clear idea as to how you should respond. Because an order for repossession does not necessarily mean that you will lose your home if you are willing to take decisive action. Discover how to easily assess and forecast any property project using the spreadsheets our team use before we buy any property. This course includes 5 video walkthroughs on how to use the data you have at your disposal to make intelligent choices about your investments. Do New Build Developments Make Good Buy-To-Let Investments? New-build developments can make fantastic investments. They can be bought at a discount, are more energy efficient and don’t have age-related problems. But maintenance costs and discounts are only one side of the equation. The yield needs to make sense as well. What Happens During A House Repossession? If you are being threatened with a house repossession you need to know what you can do about it and how you can stop it. 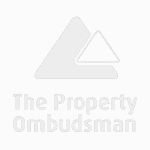 Today we look at the rights of home owners with mortgage arrears and at the process that mortgage lenders take to repossess a property. Selling your house in 28 days, 7 days or even 24 hours is entirely possible if you use a fast house sale service. But it is important that you manage your expectations, that you know that it the right path for you and that you pick a company to work with that you trust.